Think and Act is a library of teaching materials, created in collaboration between migration NGOs, academics, filmmakers, primary school students and teachers. The idea for the site grew out of a need for an easy-to-use tool that could help teachers bring relevant multimedia resources to classrooms in Ireland. I designed and developed Think and Act in collaboration with the creators of the original content, ensuring that the site's architecture allows for future updates. 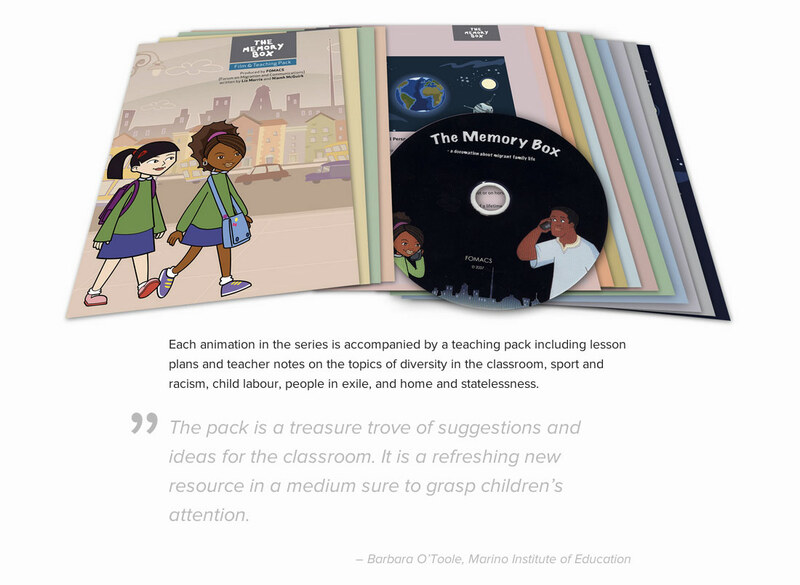 The site's content was adapted from teaching packs based on Abbi's Circle—a three-part animation showing real-life stories of family separation and obstacles migrants face upon their arrival to Ireland. 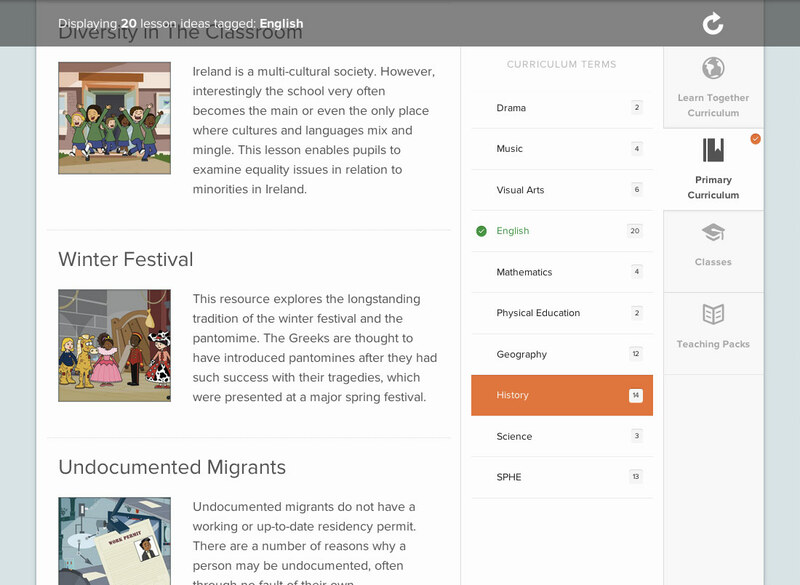 Each lesson idea is catalogued according to the Irish primary school curriculum and pupils' ages. New lesson ideas are prepared using the existing framework—they are built around a short film, with additional materials available to view online or download. The sidebar navigation allows users to filter through available lesson ideas according to subjects, curriculum terms or pupils' age groups. 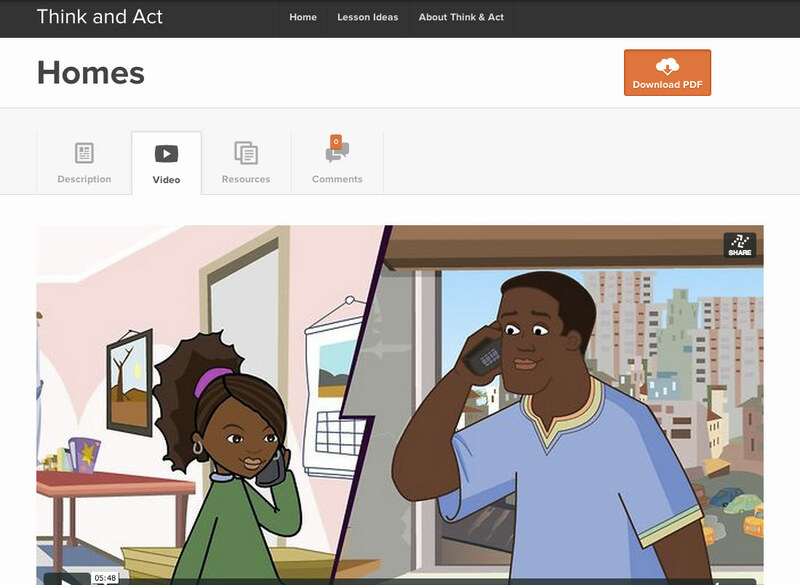 Each lesson idea included on Think and Act contains a short film, a printable collection of example exercises and links to relevant materials. All content on single pages is organised under a tabbed menu for quick access. Each lesson idea is built around a short film, which can be streamed and discussed in the classroom. 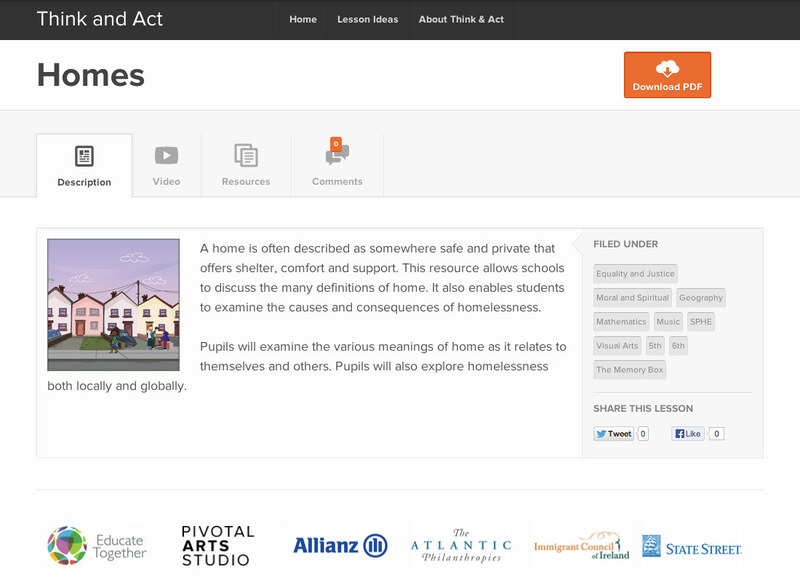 The Resources tab contains materials found on the web and selected by teachers. 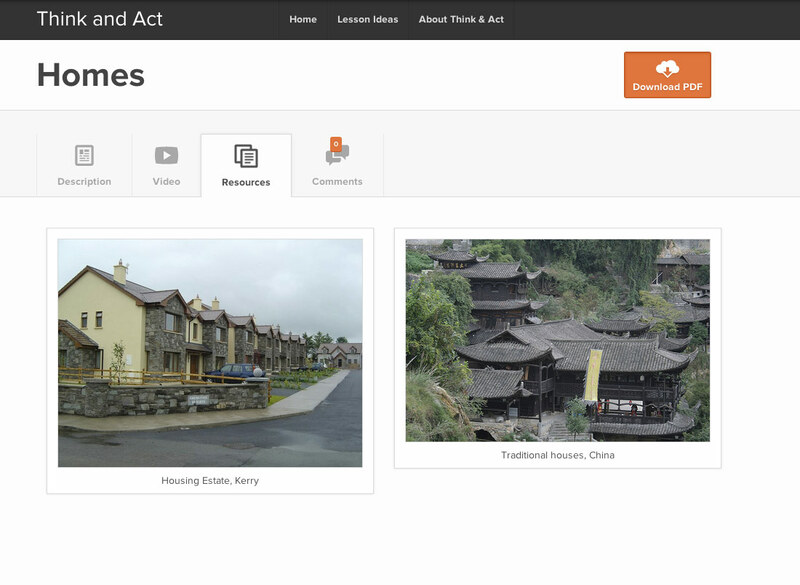 Those can include photos, video clips, maps or statistical data, for teachers and pupils to discuss in the classroom. All embedded content is linked to source pages. © 2019 Igor Kochajkiewicz T D	Illustrations by Siobhan Twomey.